Christine Rothwell is a member of the APA and an Accredited Astrology Teacher (AAT). She currently teaches a four year course in Astrology from an in-depth mythological and psychological perspective. 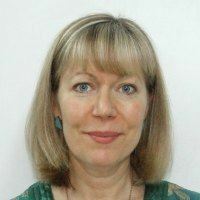 Christine’s work is influenced by an interest in mythology and archetypal psychology, as well as training in meditation, counselling, psychotherapy and family therapy. Her special areas of interest include a deepening awareness of the feminine points and combining spiritual and psychological perspectives. The synodic cycle of Venus – the time from one inferior conjunction to the next – was the inspiration for one of the most poignant feminine stories in myth, The Descent of Inanna, which was shaped in the oral tradition around 3000 BCE. In ancient Sumer, Inanna ruled both heaven and earth. Every eight years a special ritual was held to honour Inanna’s descent into the underworld. This lecture will look at the Venus cycle through the imagery of Inanna’s descent as an esoteric journey of initiation and as a psychological process of descent and return. We will explore natal and transiting symbolism of the key moments in the cycle as well as the monthly conjunctions with the Moon. The cycle that begins on 4 June 2020 will be used as an illustration. The second half of this extended lecture will be devoted to contemplative processes and reflection on the deeper significance of Venus’s cycle. Bring your personal horoscope if you plan to attend the second session.